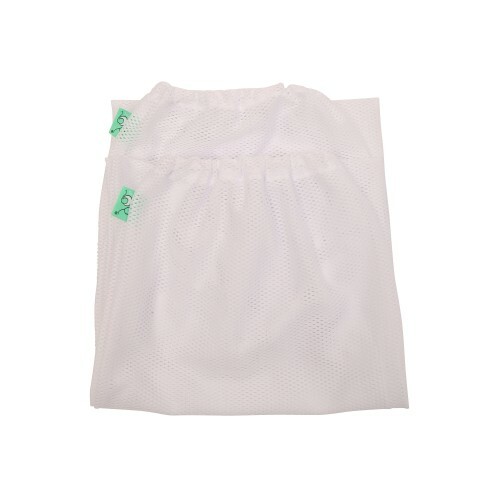 Mesh bags to line your nappy bucket. 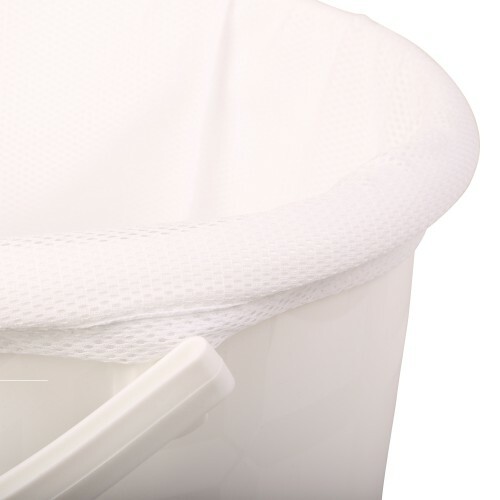 Store dirty nappies in the mesh & bucket, then just pop the whole bag in the machine when full. The nappies will naturally fall from the mesh bag during the cycle to ensure they are squeaky clean! Gently elasticated so they hang on to the lip of the bucket, but nappies will easily fall free from the mesh during the washing cycle.